AbbVie, manufacturer of the drug Androgel, recently asked a federal judge overseeing litigation against them to bifurcate expert discovery and summary judgment in pretrial proceedings. After rejecting the request, the judge then outlined a schedule for bellwether trials to move forward. In the ongoing MDL involving Androgel and other “low T” treatment drugs, AbbVie recently asked Judge Matthew Kennelly to amend the schedule for choosing bellwether cases for trial, specifically noting that they wished to bifurcate expert discovery and summary judgment. Summary judgment would have involved causation and other relevant issues. Judge Kennelly decided that doing so would not be fair and reasonable to both parties, although he did extend the general process for choosing bellwether cases. AbbVie is probably pretty happy about this extension considering that they tried to slow down the bellwether trial process before. While a previous case management order suggested that cases should start going to trial in 2016, Judge Kennelly is now requiring the parties to submit a proposal for the selection process by August 10, 2015. Cases are going to be divvied up into two categories: 1) blood clot cases involving thromboembolism or deep vein thrombosis and 2) heart attack cases. If all goes to plan, a final bellwether selection should be made by the end of August. On October 31, the parties are expected to select eight Androgel cases dealing with the two categories of injuries mentioned above, which is sure to put a damper on their Halloween plans. Diligent readers of this blog will know that Judge Kennelly wants these cases to go to trial starting in March 2016, with cases to then be tried all the way through early 2017. Beginning last year, cases against AbbVie involving the drug Androgel were consolidated in the Northern District of Illinois before U.S. District Court Judge Matthew Kennelly. These suits allege that men taking Androgel were exposed to serious side-effects of the drug, which include heart attack, stroke, blood clots, and other significant injuries. Androgel was not the only culprit, as other low-T drugs such as Testim and Axiron came under scrutiny. Around 1,500 lawsuits against the manufacturers of these drugs, namely AbbVie, have been filed so far. Androgel and other low-T treatment drugs have been a huge hit for AbbVie. Few men do not want to defy nature and stop aging. But like with most things, if it sounds too good to be true, it probably is. Men taking the drug were soon faced with side effects including heart attack, stroke, pulmonary embolism, and deep vein thrombosis. The thrust of these lawsuits is that men and doctors were not adequately warned about these side effects. No one is really looking for a recall of the drug. Maybe some men should be taking it based on their unique circumstances. But clearly more men were on low-T drugs then there should have been given these risk. Which takes us back to the core of these lawsuits. Doctors and patients should be adequately informed of risks. It’s like before going scuba diving you would want to know if the waters are shark-infested, but you probably are not calling for mass extermination of sharks. That is the logic that plaintiffs are employing here: notify the patient of the risks so that, in the end, they can make the call. We can argue about the best warning — package insert or black box — but there needs to be something. At the end of the day, what does AbbVie’s request to bifurcate actually mean? Basically what AbbVie wanted to do was have two trials. The first one would be on liability. So a jury would decide whether AbbVie was negligent in their failure to warn. 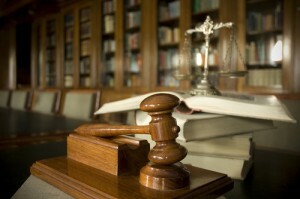 If the jury found that the company was not negligent, that would be the end of the case. If there was a liability finding, then there would be a second trial to determine how much money should be awarded. This is a home run for almost any defendant. Keep out the sympathy factor of the injuries and just focus on the science. But judges rarely grant this request because it is generally unfair to plaintiffs. Juries are filled with adults who deserve to understand the entire case in context, including what harm was caused. Fortunately, the judge did the right thing in this case and denied AbbVie’s request. If you or a loved one has been hurt by AbbVie’s testosterone therapy, call our lawyers and figure out if there are options to get you financial compensation for your injuries. Callt 1.800.553.8082 or online here.